On the 3rd of July 2018, the 69th Heidelberg Image Processing Forum took place in Karlsruhe. This year, the event was all about “Multimodal Image Acquisition and Processing”. 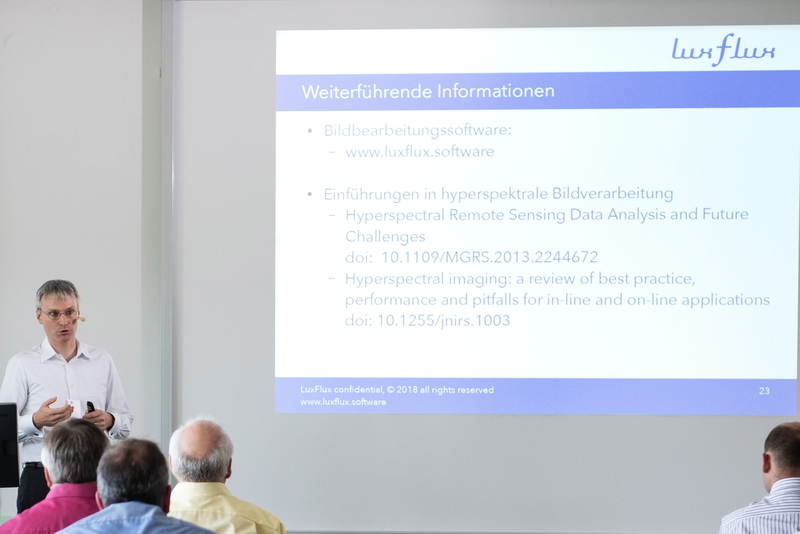 LuxFlux founder Jan Makowski was invited to present hyperspectral image processing. He gave the audience a detailed and comprehensive insight into the methods of the recording and analysis procedures.